All of those good looking diagrams you seen on Football-Offense.com and even Football-Defense.com, they’re not from some expensive program. 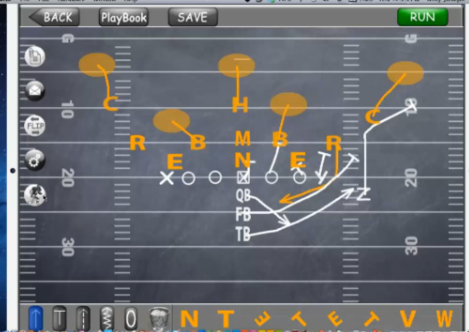 I use CoachMe Football to draw all of my diagrams lately. They’re incredibly easy to draw and come out beautifully. So I asked Willy Joseph of MeApps Studios to come on and talk to me about the application I was using on my iPad to make beautiful football play graphics, and he obliged. 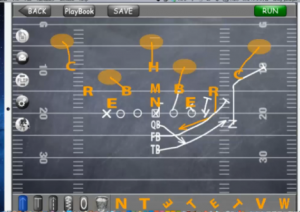 Visit Football-Defense.com and check out my interview with Willy Joseph of MeApps Studios on the development of the CoachMe App (available for other sports, too!). Those guys are doing a great job, so give it a shot now! Watch the full interview free, at Football-Defense.com!